Motorrad vs Streetrunning Thibaut Nogues vs. Morgan Demiro - wer gewinnt? 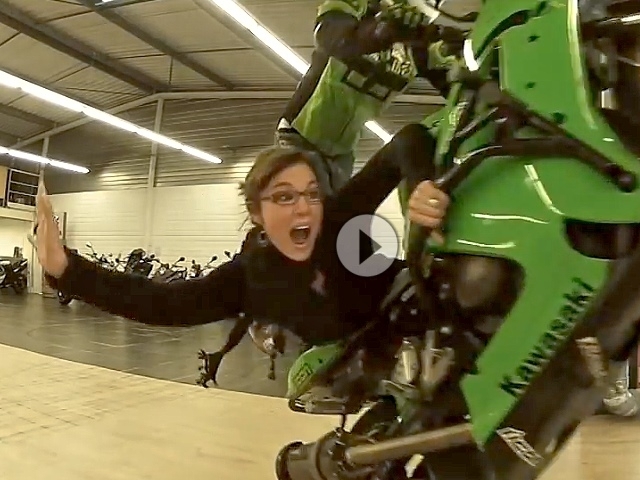 Guyguy tries to impress the saleswoman by drifting and stunting in the middle of new machines worth about 40 000 euros ! In case of a strike the bill could be high!